Our most useful tool for this month comes from the finance category. We think we have one of the best currency conversion tools for both iOS and Android - Valuta - Currency Converter. If you love Match 3 games and equally love bubble shooting games, then you will love to hear! We have brought you an app Bubble Island: Birds World that is absolutely for you to give you the most challenging, entertaining and strategic game play. We reviewed it last week and literally became obsessed. That is when we knew we got to pronounce it as Most Addictive Game of the Month! You will have hard time turning off this game. The combination of levels, gameplay, sounds and music is impeccable. Simply show your popping skills and aim in the right direction, have fun matching bubbles and scoring higher. Download the Bubble Island: Birds World game free from the Google Play Store. Direct download link to the app is given at the end. Investing is one of the best ways to make money. By being smart, taking a few risks, and by knowing the market, you can easily earn yourself a ton of money that you can use for all kinds of things. Many use it to build themselves a retirement fund. 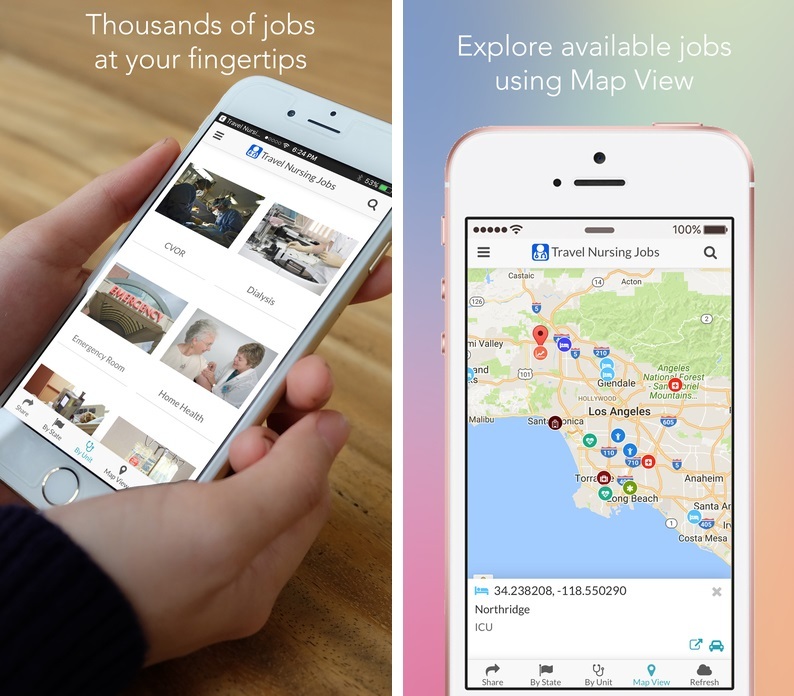 It’s tough to get into, but we think these apps can help. Here is the review for best stock exchange app, Vest: Your Stock Investment Companion. Investing in stock exchange or to have information about stocks now with Vest is as easy as one, two, and three. Simply create your portfolio and add your buy and sell transaction and vest will do the rest of the job. Vest supports equities on the NASDAQ, the NYSE and the TSX stock exchanges. 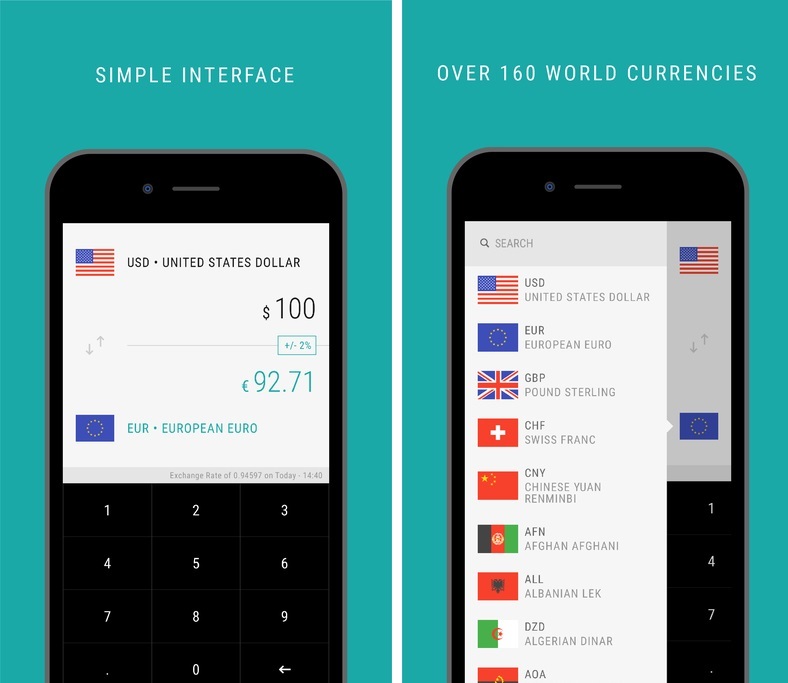 Vest supports portfolios in US or Canadian Dollars. · Track stocks and positions* in as many portfolios* as you want to create. 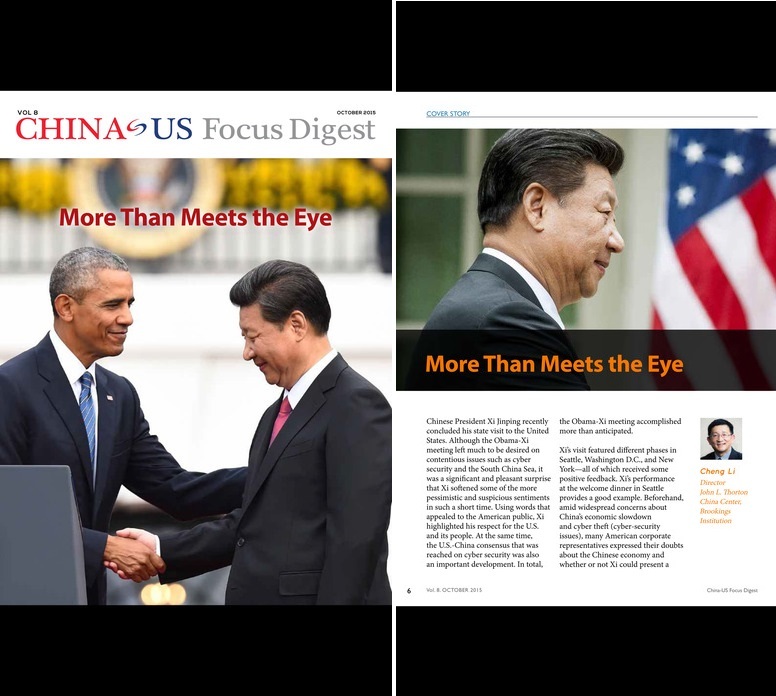 · Read the latest news on companies you follow or positions you own. · Get a readout on how a particular position is performing. Track how much a Sell transaction really made or let us show you the dividends you received. · Significant portfolio and position value change notifications are displayed when appropriate. · Automatically track and inspect your portfolio’s worth, considering currency exchange rates, stock value fluctuations, splits and dividends. · Inspect a position’s price history with the Hourly, Daily or Monthly graphs. 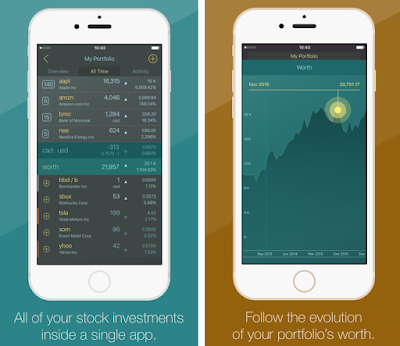 Download it free today on your iOS device and have the best tool for your Stock investment. To avail more advance features, pay for the premium version. One of the advantages of the Android gaming is that it can be both casual and fun! We got a game today that we think has the complete package to keep you engaged and entertained. Without further delay, here is the review for best action game Bat Attack for your Android smart phone. Bat Attack is classic action platform game with a story line about bats that have attacked the field. Your job is to kill these bats and make this field free from them. Gameplay is very easy to understand and start to play, with simple one-tap controls. There are 36 levels of with varying level of difficulty. For each level you are granted with a limited time in which you have to score defined points that you can see on your mobile screen at the start of each level. Use your best hand to mind coordination as these bats are coming out randomly from the holes in the game screen. You can easy have a look on game statistics in the home screen. The statistics creates competitive spirit and always urges you to do better. In the higher levels, you are also issued with a bomb in order to kill multiple bats at the same time. The game also allows social feature to share your points with your friends on different social and communication platform that you have installed on your device. Bat Attack comes up with graphics loaded with scary Halloween theme and a beautiful action sound in the background. Don’t hesitate to download it on your Android devices as its free. Click the link below to install it on your device. Everyone wants to be happy, that's for sure. The more we search for ways to gain happiness, however, the faster it eludes us. That doesn't mean the pursuit of happiness is a fruitless one. Indeed, happiness can be found easily just around the corner, but only if we know what it looks like. Unfortunately, all the stresses and preoccupations we get with living such a fast-paced, high-tech life won't help us realize happiness even when it hits us right in the face. even if our overindulgences in technology have distracted us from life's simple pleasures that lead to lasting happiness, the very same technology can help us get back on track. 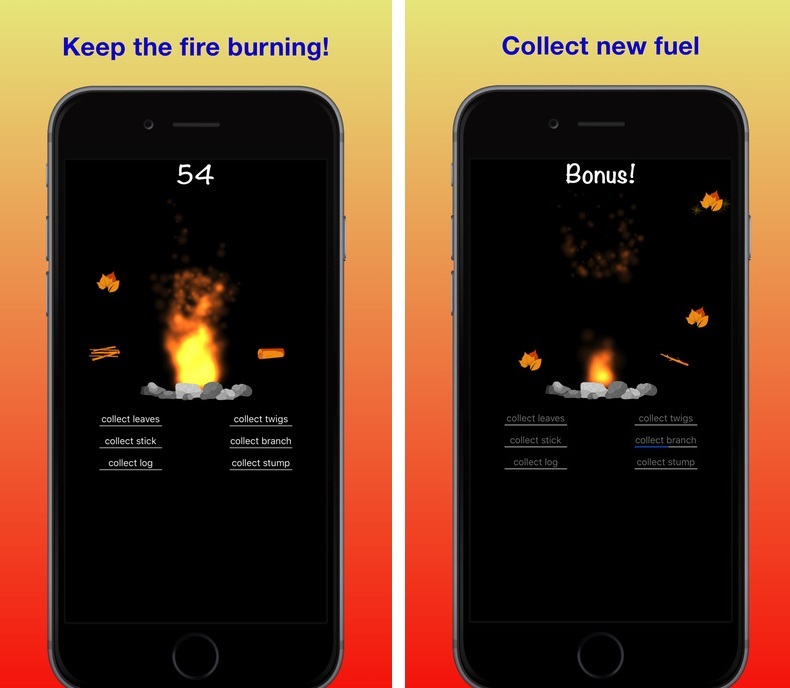 there are actually plenty of apps for dealing with stress and anxiety, so from the bunch of good games, we have selected this, Campfire's Burning for you. Campfire's Burning is game about alighting the campfire. To keep the campfire burning you have to collect the objects that are falling down from the top of screen, tap these objects and add them to your inventory. You can see the space occupied by these objects on your game screen. As long as you will be able to keep the fire alight, you are rewarded with gold coins for each second. You can see the amount of rewarded coins on the top of screen. These coins can be used to have more inventory space as well as to buy other boosters to make your game play better and faster. Football has been hailed as one of the most played and watched the game out there. The hype of the game can be pretty much seen and observed during the FIFA world cup. Fans from all across the globe go crazy; the tickets are sold within days, and the stadiums are always full. Millions of viewers watch the game at their homes via television broadcasts. Google Play offers great football games apps for football lovers. Total Football perfect blend of collectable cards game and Football sports. It is a lightweight Android game with awesome GUI and sound quality. It provides ease of control and awesome graphic quality. With each match, the level of difficulty rather increases. You are allowed o play with only three players an attacker, midfielder and defender and the ball would be in three positions either the midfield, or defense or it can be in attack position. Based on the positions you have to select the most appropriate player for each position. When you click the play button, repeatedly tap the boost icon (with a star) to boost your chances of winning that duel. Win the duel and earn a bunch of coins to hire skilled players for higher levels because difficulty increases as the level increases. You must have a bunch of good players to defend each of three positions. My. Comment Stickers – Improve Grammar and Have Fun! We all love iMessage. With the introduction of this wonderful new feature in iOS 10, now conversations are much more entertaining. There are tons of iMessage apps that can do different type of things. Today we will speak about one that will act as an entertainment and grammar tool and highlighter! Expressions of your desired feelings are now just possible in one tap by the wide range of iMessage available stickers both in static and animated format to add more spices to your feelings. 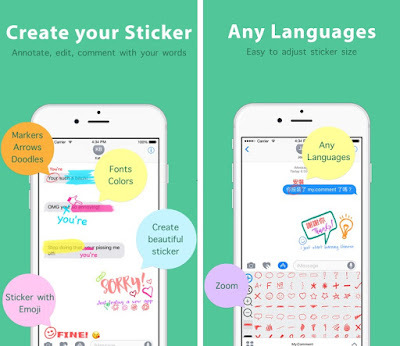 There are many sticker apps available for iMessage that allows you to decorate your texting style in a more better way, presently there is an app My. Comment Stickers is developed for iMessage, which is unique in its way of presentation. My. 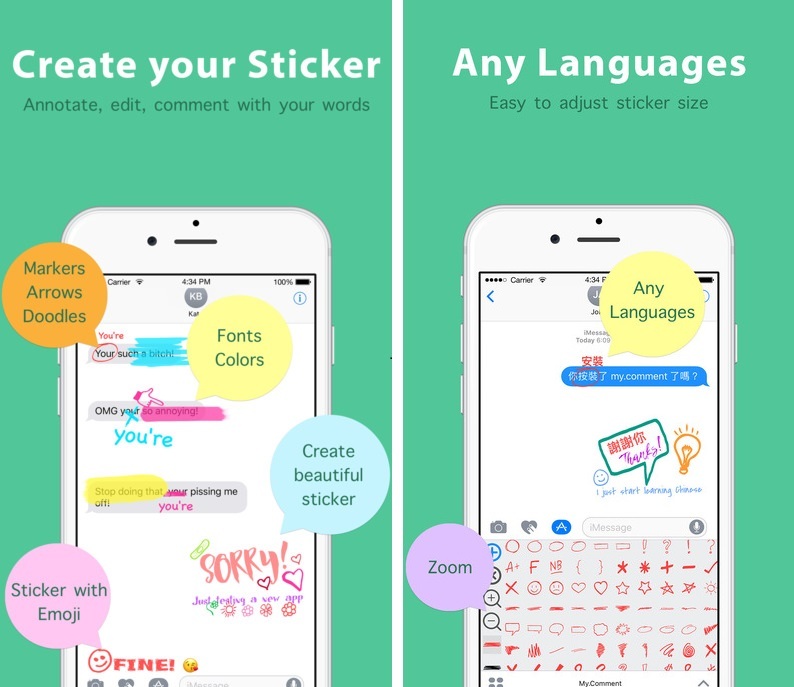 Comment Stickers is an app, which allows you create stickers of your comments to mark grammatical mistakes or any other, made during texting by your friends. There are many fonts style available to present your comments and it allows you to use 200+ markers, highlighter, arrows and doodles sticker elements to create grammar correction stickers. Direct download link to this third party app is given below. Download it and surprise your friends with your comment style. Football is the most famous game in the world, and it has strong followers. Even in the countries that is not having major Football team, the game is so popular. Football is the living and breathing for many, Die-hard fans when kick-starts game. With the rise of smartphones, now you can play the stunning football games on your phone. If you have free time and want to have fun, sit back and read more about Micro Soccer to enjoy it on your iOS or Android device. Micro Soccer game is easy to pick up and it has a lot of fun. The takes you to the ground where you can your players from the top view. There are 50 different stadiums included which makes the game very interesting. The graphics and sounds are retro style. It has simple, intuitive gaming controls, which gives you the power to play it in your fingertips. Use the joystick button to move players around the field, tap to pass, swipe to shoot and more. You can play in the different game modes like: Exhibition Match, Micro Manage, Practice, and Demo. Other than this, the new version updates are coming soon to add more game modes. It is one of the best offline football game for your smartphone. Download Micro Soccer today on your iOS and Android devices and feel yourself in a real football world. Click the recommended store links to install. Users that want educational and fun arcade games. The game requires from the player to put the trash in the right waste bin. In that way, the awareness and rules for trash selection will be improved in each player. The game is fun and can get really challenging as there are 4 types of waste that need to be selected. - 2 Cities (New York and Bangalore, India. "Nice work Very good app for making your children learn about how to dump waste"
It is an iOS and Android action based platform jumper and skate rider game. It features easy controls, 30 levels and exciting entertainment that can get addictive. It features unique artwork and great sound effects as well. "Skater Boy series Love this game!! It's so much fun"
The Doll House Game- Enhancing the creativity of your little girls. Have you ever played with doll game in your android device? Do you love designing your favorite dolls house? Want to play with your doll? Let's start here with this review about the beautiful game, The Doll House Game. · Cute and colorful graphics! · Select between 30 different styles of doll houses. · Many different items like furniture, carpets, tables, flowers, bookshelves and pillows! · Share your lovely doll house to Facebook and Twitter! It’s easy to add and arrange the items with just a tap. Moreover, removing means just a push downwards. The game was very much straight forward. Your kid can start without any guidance and very soon, you will find him/her decorating and exploring the game. Have a fun with decorating your doll house, decorating rooms and seeing how little girls enjoy. Download it free on your Android device from the link below and present your kid, a best gift ever. The online environment and use of mobile payments for in-person transactions has changed how transactions are being made. New technologies are changing the way we view the transaction process as well as how we exchange money for goods and services. By incorporating these new ways to make safe and secure payments, businesses are able to expand their customer base and client portfolio. The new technology trends and greater advancement in e-payments and app developments have played an important role to turn your smart phone into cash dispenser. 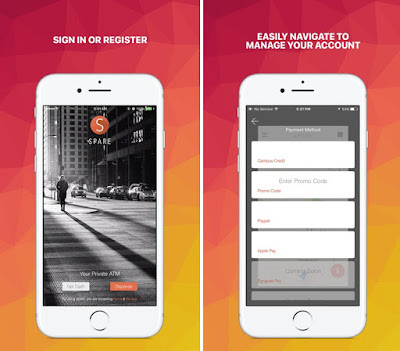 Today, we also have brought an app SPARE. - Convert Digital Wallet to Cash for your iOS devices. ‘SPARE. - Convert Digital Wallet to Cash’ is one of the best digital wallets to make payments. It allows you to add your Credit/Debit cards and link your bank account to it. Make use of QR code to send and receive payments easily. It allows you to easily navigate and manage your payment methods, which means the debit or credits card you have stored to access. In order to use simply open the app and on the home screen you will see get cash click this option, pick the nearest merchant on the app, select the amount and get your cash. If you are traveling or out of the town and you forgot to carry cash in your wallet, with SPARE. - Convert Digital Wallet to Cash’ you don’t have to worry shop with confidence and pay through the app. APPLY to be a merchant in the SPARE network and get PAID to securely dispense cash from your place of business! Install it today free on your iOS device and have the easiest and safest experience to manage your cash. Also, the app gives you $5 on first login, by using Promo Code ==>> "sparecash". It is a simulation game with tons of interesting moments and vehicles to transport. It has amazing graphics, great sound effects and overall it is really well-executed. It is designed in a way that it keeps the player engaged every second of the time. - Users that want new simulation games with unique set of challenges. • Ability to Fly a Cargo Plan. • Multiple Vehicles like Cars/Jeeps/Trailer Truck/Cargo Plan. • Smooth Cargo Plane Handling and Flying controls. • Amazing Trailer Truck with smooth controls. • 3D and Eye Catchy Environment. • Real feel of flying Airplane and Smooth Flight Handling. • Level based game with missions to accomplish. "I play all levels. Graphics are amazing..."
This winter it is a time to get amused with the perfect puzzle game play.as we know that the app market is full of 3D puzzle based games giving you variety if game plays. However, to choose which one will be more productive it’s a hard to find. For this reason, we researched arcade games, found an addictive and classic game that is recently developed for your Android devices, Rolly Cubes. Rolly Cubes is a new free classic 3D puzzle game. Your only job is to roll the small cubes passing though different 3D obstacles and fighting through the time span, and place these cubes on the holes on different places of the screen. The game involves rolling physics with high accuracy. The game uses the accelerometer of your mobile as a control. All you have to do is to tilt your mobile device so precisely that you place each of the cubes in the lowest possible time duration. The game gets more challenging and thrilling as you move forward through the levels. With each level, the number of cubes appearing on the game screen also increases. You can adjust the views for your game play. There are game charts in the game which displays the best scores around the globe and also at the end of each successful level, the game allows you to share your best scores with your friends. The game gives you an easy replay option if you failed with single tap. Also you can see the helping option for the levels. Rolly Cubes can be your best time killing companion in these long nights of winter in a fun and challenging way. Install it from the link given at the end. If you want to make a message or saying to be more memorable, you need to make it more "eye-catchy". However, designing is a complex process. It involves things like typography, shapes, color combination, composition etc. You don't have to think this! Let Versual app handle the process and you just choose the results. Versual is something to inspire you for the day. A daily dose of feel-good quotes is a sure way to help you energize. In addition, it allows adding these quotes to your pictures in few easy steps. 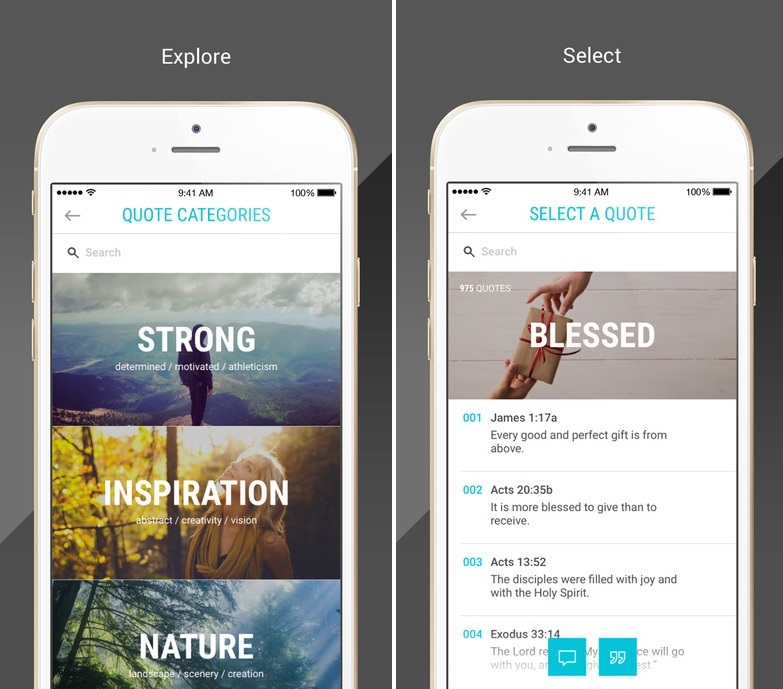 The app is built around a handpicked collection of inspirational quotes from around the world. The app is filled with over 4,000 handpicked motivational quotes, famous sayings, and inspirational words from prominent people. Choose an inspirational saying from the well-categorized quotes. 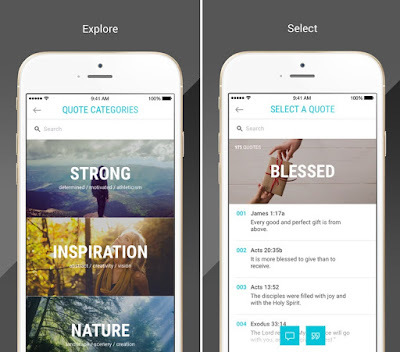 Upload your picture you want to be edited with quotation and add the quote you selected , now you can choose the styles, text fonts and other filters to apply to the text, Use hand gestures to resize, move and rotate these elements around in the frame. You can also add the filters as per your choice to enhance the colors of your picture or to give it a touchy look. Sharing quotes is easy, as the app allows you to share via Facebook, Twitter and Instagram, or to download it to share via SMS, or email. Versual is probably the best way to get bite-size treats to satisfy your and your loved one, a thirst for positive vibes. The direct download link to the app is given below install it free to your iOS devices. When it comes to generating a QR code, one thing that has to be taken into consideration is the fact that QR codes need to be decoded by a QR code reader/scanner. A long time ago, barcodes were just black and white patterns. Scanners did not break a sweat when reading them. Nowadays, with the introduction of QR codes, the technology to decode them has evolved in order to have a better readability and an even faster response. A smartphone or a tablet’s camera will not be able to scan the QR by itself. They need software that enables them to decode the information and send the user to the code’s destination, for the reason we have searched through tons of available QR code scanners and selected QR Code Reader for you. QR Code Reader allows you to scan is essentially your everyday QR Code and Barcode scanner and else that QR code it also allows you to decode other formats, Data Matrix, Aztec, PDF417, 1D Product. All you have to do is to turn on QR Code Reader and from the viewfinder tap the area to select, the code you need to scan and it will provide you all the information hidden in the code. You can see a quick and simple history of your scans on your device and the previous scans are easily searched in future by using its search tool. Choose between different colors of viewfinder and have a more clear reading of your scanned information and much more. So what you are waiting for? Install it today free for your Android device and turn your device into QR code scanner. Click the link below to install. When you don’t have an internet connection on your Android device then games are the only thing by which you can kill your boring time. And all of you know that mostly cool games work on the internet. However, we have some games that work without the internet. So have a look at this review, because we have brought you the game that can also be played if you don’t have internet connection. The game is Super Potato vs. Bugs Bros.
Super Potato vs. Bugs Bros is the rescue mission of three potato bros mini Potty, Mario Potario and Super Potato. As they have to rescue the princess from 8 super bug bosses who defend their castle. There might be different kinds of ordinary bugs coming in your way like Ladybugs, wasps, bees, beetles, dragonflies, praying mantis, tarantulas, mosquitos, grasshoppers and spiders. Use the super powers to clear you way to reach these eight super bug bosses. There are about four worlds, Sabana, Desert, jungle and caves. To complete your game you have to pass through 80 levels with varying difficulties based on their world. Find secret underground levels ducking on the pipes. Many secret gifts are hidden in secret blocks, jump anywhere to find them. Take a balloon to fly to the sky over the clouds. Collect coins to buy super powers. Human personality is fantastically complex. We realized that after we reviewed Know Your Personality™ few days ago. As we were largely impressed by the app and its features, and we truly think it can have great value for our users, we decided to make it app of the month. Why? Personality and human relationships are really complicated. Sometimes you find what you need, but you still have a sense that there has to be more. That you don’t know what you don’t know. And that’s where you are stuck. Wanting more, but just not knowing where to find it. But now here is nothing to worry about as we are going to tell you about an amazing app Know Your Personality™. What is Know Your Personality? Know Your Personality™ uses the knowledge of numerology to give you the perfect answers about your personality. Numerology readings are written by experts with years of experiences and studying. Numerology is any study of the purported divine, mystical or other special relationship between a count or measurement and life. The app is developed with very basic and easy to use interface. All you have to do is to enter your name, your birth year, date and the month and press the calculate button within the app. Now with the help of numerology skills these numbers are analyzed to discover clues about the individual's character, destiny, and life cycles. It identifies common frustrations so that you can get personalized advice to improve your relationship. So, discover the best and worst careers for your personality type and improve your relationship. The numerology app also allows you to know about the personality traits of famous celebrities and much more to uncover. Simply download this app and have every answer regarding personalities either it’s about your or if it is about your relationships. The app can be downloaded for both iOS and Android devices for only $2.99, which is not more! Download links are present at the end. Soooo, it's not Christmas yet, but it's about time we start preparing ourselves and our phones for what is one of the most wonderful holidays of the year. If you still haven't gotten in the Christmas mood, now's probably the perfect time to do so, and we know just what you need! As every one of us knows that music is for souls and is a part of every celebrations and for the same reason we are also here to review this wonderful app Awesome Christmas Songs & Music. Awesome Christmas Songs & Music is all-in-one music app having tons of radio stations with thousands of Christmas music and carols to make your Christmas loud and exciting. 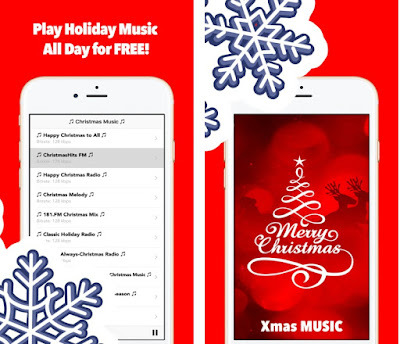 Browse through the listed radio stations playing Christmas songs like your favorite one and enjoy the best music this festive wherever and whenever. 22 December, Toronto, Canada. 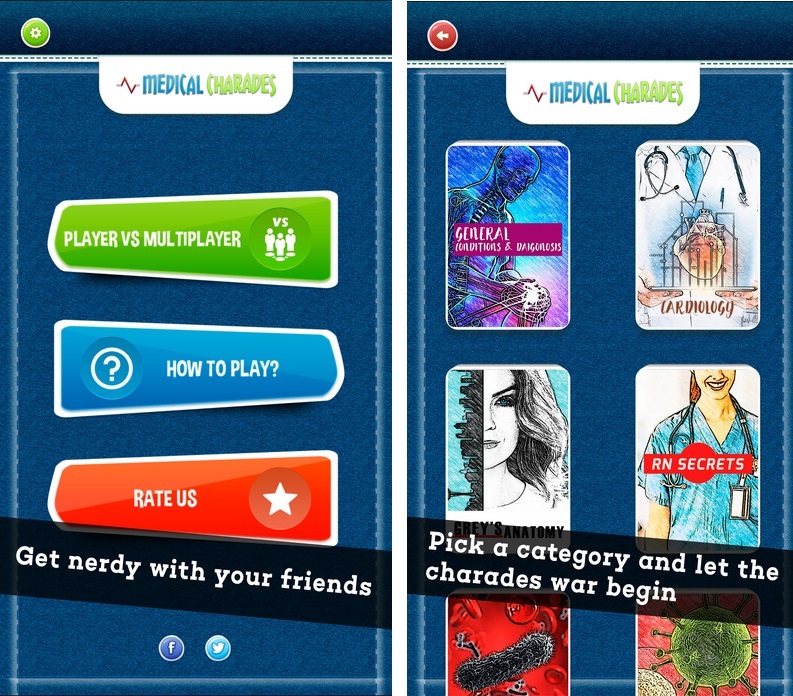 Learn From Apps launches an entertainment buster for free as part of their portfolio: Medical Charades – Medicine Heads Up. 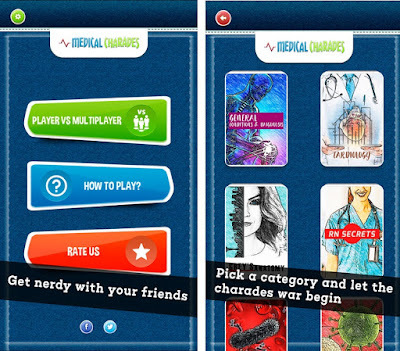 Learn From Apps launched app Medical Charades – Medicine Heads Up to entertain medicine field after their success with multiple medical educational apps previously. The new iOS and Android app promises everyone to enjoy medicine in a whole new way. Nurses, medical students, physicians, pharmacists, physician-assistants, or even patients, this app is for you! “We created Medical Charades for all our peers to have fun and tap their inner skills of acting, singing, or being a hypochondriac without being judged. People in medicine need to be skillful and this app provides just that medium while entertaining everyone around. This app certainly guarantees good times and loads of memories with your family and friends”, stated Dr. Rohit Gosain from Learn From Apps. Medical Charades includes a large selection of decks to choose from. Common conditions & diagnosis, Cardiology, Neurology, RN Secrets, Dilaudid Stat (for pharmacy), and popular TV series such as Grey’s Anatomy and Scrubs are just a few to name. The entertainment with this app begins when each player describes or act terms and other players compete to guess the most words being displayed. Users also have an option to record their team members within the app while playing and then share this video to cherish this memory. The goal of this app is to entertain everyone with a medicine twist. It is a social, interactive medical game that is now available for free on Google Play and Apple App Store. Card games are a fantastic form of entertainment. They work anywhere and everywhere, they are small enough to fit into a bag for travel, and there are many different kinds of card games out there. It was one of the first seriously popular genres on the Pcs and now available for mobile. It has evolved a lot since the good old day just playing Solitaire. 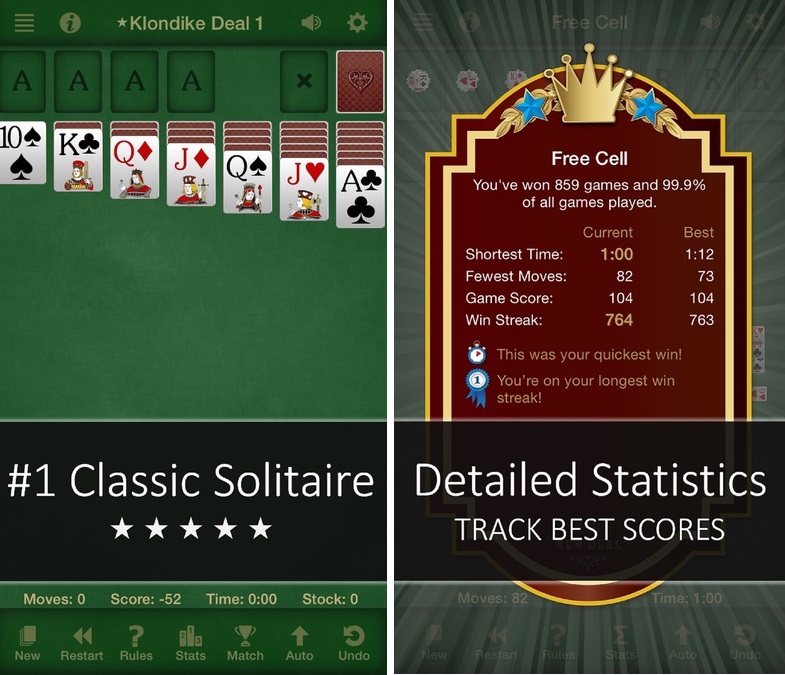 Here we are going to tell you about new card gaming app Solitaire Free. Solitaire Free has smooth graphics and game statistics to show the result of the game. It can be played on both iPhones and iPad. The game suit comprises of about 50 card games in which, there are about 10 games that are rare and cannot be found in any other app. If you have made a wrong step, you can have unlimited undo option for your moves by pressing the back button. You can also personalize your solitaire game into your own version. Choose from several, easy-to-read HD card styles, set your own color and speed preferences and much more. The game allows you to track your best high score with an inbuilt leaderboard. Your victories are celebrated by custom animations and the interface is developed exclusively for Apple devices. The Solitaire game is the ideal app for users who just want to play good old classic card games. If you are looking for a simple Solitaire app, download this one now, because it is the one you always wished for. Click the download link below to download it free on your iOS platform devices. App Store Download Link: Solitaire Free for iPhone & iPad. It is a great, unique color painting educational app for kids with tons of different animals. - Users that have kids who want color painting and need education on animals. - Users that want lovely and free coloring apps. - RMS Animals Coloring book cointains 30 coloring pages in theme of animals, birds, fish, insect or mammals. - Choose a coloring games category. - Choose the draw to color. - Pick the colors and start coloring! "Nice game, my son loves painting and drawing so it's his favorite game nowadays"
Suffering from memory Gaps? Or Dull attention? Don’t worry we came up with solution for you by developing best mind puzzle game with a tremendous gameplay. It is one of the best free games of memory training! Designed to train and improve your mind skills. We are talking about 8 memory game by Marcus Thomas. 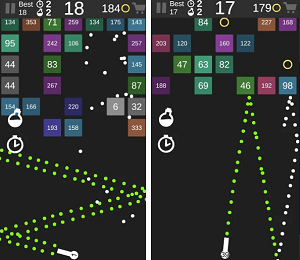 8 Memory is a simple and addictive game that will help to improve your memory. You have to repeat the sequence of the sounds and lights using the buttons until you press the wrong button. This game gives you the cool way to test your memory. It’s designed with eye-catching look & awesome sound. 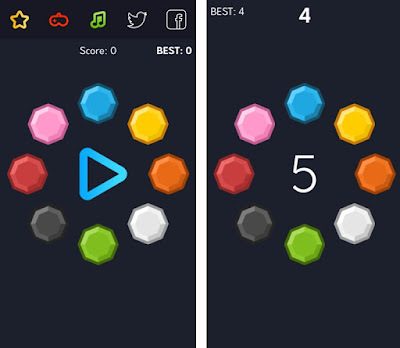 The gameplay has only one goal: to test how many times can you repeat the sequences of colored stones. The game has increasing levels of difficulty each level test your memory & brain skills. Its best brain fitness games, such as brainteasers and puzzles to get your mind in shape. 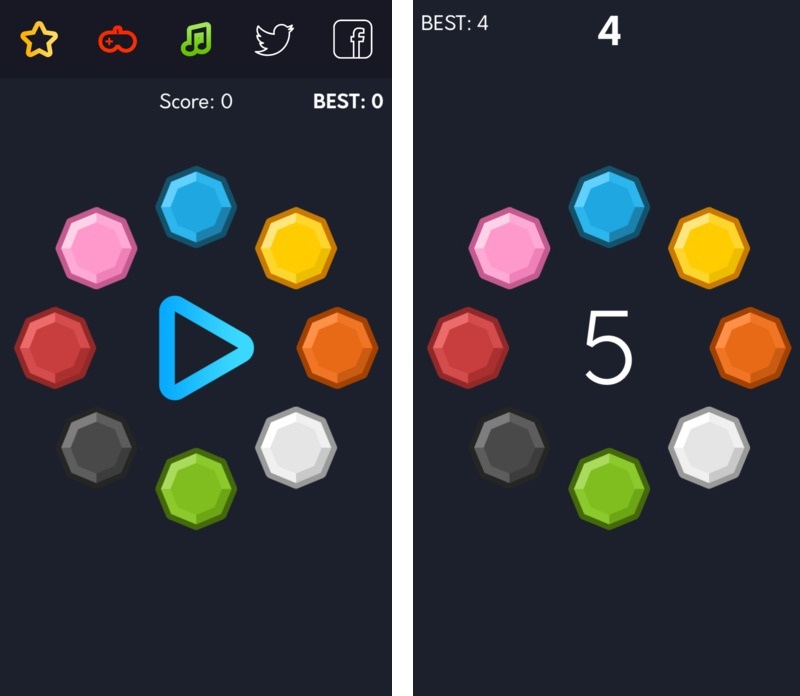 When you tap play button, the game starts with only one stone light up and the next step another one is added to the sequence and so on. The score is based on the number of sequences you can remember and exactly repeat as it was done by the device. 8 Memory is for every age you are either child or an old person or a teenager play a few minutes a day to easily boost your brain skills! Brain training had never been this easy! Human personality is fantastically complex. Sometimes you find what you need, but you still have a sense that there has to be more. That you don’t know what you don’t know. And that’s where you are stuck. Wanting more, but just not knowing where to find it. But now here is nothing to worry about as we are going to tell you about an amazing app Know Your Personality™. Reviewed few days ago, Traista is still the most impressive app we tried this week. For that reason, and because it is indeed one of the best lost and found apps, we decided to appraise it as App of the Week. Get it free and enjoy! Traista is a social platform committed to help the people who are worried about their lost objects and on the other hand, it gives a chance to its users to help those who are worried about their lost objects. The best thing about the app is that it also gives you information about the amazing shopping deals near to your place and that really makes this app unique among all the present lost and found apps. It is a tested model which works perfectly for both users and business. The current community is so helpful and there were some really good deals within the app. It is a great app in many ways. Check the key features bellow. · Integrated map to provide all lost, found and deals on the single screen. · You can post about the lost or found items in few taps along with the description and location. · Users can manage their own list of lost and founds. · Easily track the location of the lost item or deal from in-built location map. · Allows instant messaging service, to communicate with people who have found your stuff. · Saves a lot of your precious money and time. · That can be the best tool for promoting your products. Avail all these extra ordinary feature in a single place. Download Traista free for your android device from the link given at the end. Music is for the soul. Being a DJ can be expensive. You have a load of equipment to buy and then you have to invest the time to learn it, use the software, and create awesome music. Now from a huge Android market out there, there are plenty of mixing apps out there to cater to the DJ in you. You can mix their favorite tunes, add pulse and rhythm, and make them more pleasing without too much trouble. Here we have found the best DJing app for you, Cross DJ Free. Cross DJ Free is the best tool developed for Android and iOS, which comes with one of the best sync features that automatically make the two tracks, match the phase. It also comes with manual and progressive pitch bend. 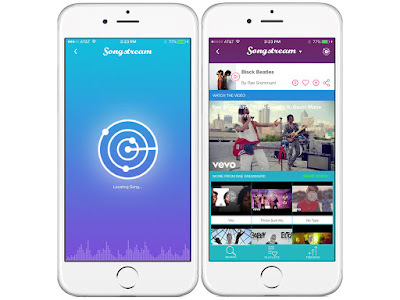 The app also has the ability to mix music by the numbers. IF you need an accurate music-mixing app, this app will pass with flying numbers. The app features accurate BPM detection of the music you feed it and that too down to the last decimal. 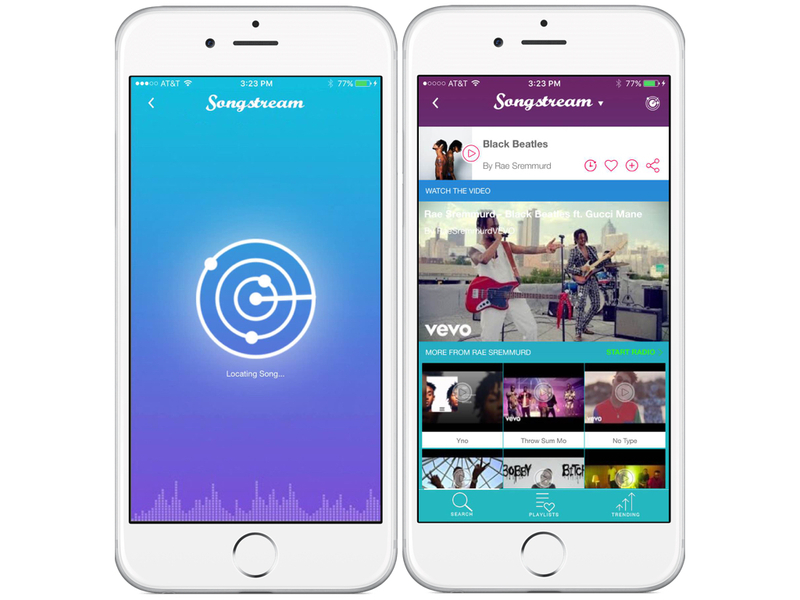 The app allows accurate beat-grid editing will allow you to synchronize any track properly. Loops and hot cues are automatically set on the beat. The dj mixing app comes with a great parallel waveform mode to check the synced tracks. If you are not that great with mixing music, you can simply click on the auto mix option that will do all the hard word for you automatically! Download today free for your iOS and Android based devices and rock on your parties. Click the recommended link below to download your copy of app. App Store Download Link: Cross DJ Free. Google Play Download Link: Cross DJ Free. For PC Download Link: Cross DJ Free. Lessons to learn: Cross DJ Free. One of the best new dating apps based on affairs. Guaranteed discretion and excitement is included. Spark your dating life with ease. "Chili69 I just launched the app and got sooo many matches! I’ve never expected such a huge choice. Recommended!" It is a lovely quiz and icon guess game that includes various entertainment topics. It is unique, challenging and can keep you hooked for hours. One of the best trivia games we've tried in months! - 1000 handcrafted logos and icons that will give plenty of challenges. "I love these kind of games Fun and not to hard that you can only go through the levels without paying. Love when free is free." Nowadays we have more stuff than ever, and it seems like we have to carry most of it around with us. We're also more distracted than ever, our attention constantly jumping back and forth between real and virtual space. It's an insidious combination that can lead to lose of our favorite belongings anytime and anywhere. But now after reading this review you feel quite good, as we have this time selected an app Traista especially for you to track your lost objects. Puzzle games are one of the genres that are most enjoyed on iOS devices. Touchscreen controls are ideal for intuitive control of puzzle elements, and short, sharp mental challenges are perfect for gaming on the go. From abstract games and physics puzzles to murder mysteries and more, check out this review for the newly developed puzzle game World of Ball. World of Ball is the game based on the laws of physics. The game uses simple swipe controls. In the game screen you will see the cannon which throw the ball that are free moving. Your task is to set the positions of the cubes present on game screen in such a manner that the balls bounce on these cubes and you can collect some medals. There are round portals present on the edges of the screen which are the ending points of the balls; you should have to drop at least six consecutive balls in these portals. The portals dissolves these balls when they enter them. There are worlds in which there are levels, which you have to unlock in order to move to the next one. Once you have unlocked all the 26 levels of world 1 then you will have access to the next world and so on. To unlock each world there are fix number of stars required which you can earn by collecting the medals to get highest possible point. Greater the points maximum will be the number of stars. The games gets more challenging as you pass through different levels. And the number of cubes on the screen also increases. The graphics are quite innovative and the sound track is awesome. This game can be the best choice for puzzle game lovers. Don’t hesitate to download as it is free for your iOS device. Tap the link below to download.